Marina was born in Dee Why, overlooking the Pacific Ocean. This established her love of the water at an early age. Her father’s work took the family to many parts of the world, and she spent much time exploring galleries and museums, and delighting in travel. Artistic parents encouraged her abilities, and she studied for a Diploma in Graphic Design. After working in various Graphic Design jobs, she was accepted for a job as Artist and Designer at Taronga Zoo. While enjoying the client-based aspect of her design job, Marina couldn’t stay away from free-expression artwork: she continued to explore art in various forms: life drawing, acrylic painting, mixed media, silkscreen printing, sculpture and pottery. Now she is able to concentrate on her own artwork full time, she is enjoying exploring projects within the themes of landscape, narrative and human form. She paints in a semi-abstract style with strong colour and fluid line. 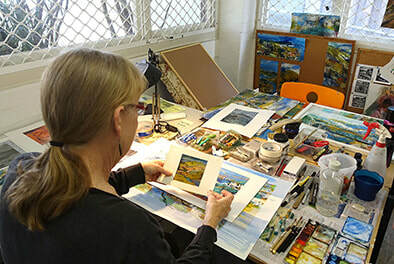 Over the years, Marina has studied with many well-known artists and she is currently a member of Lane Cove Art Society, Workshop Art Centre (Willoughby), Warringah Print Studio and the Australian Society of Miniature Artists. 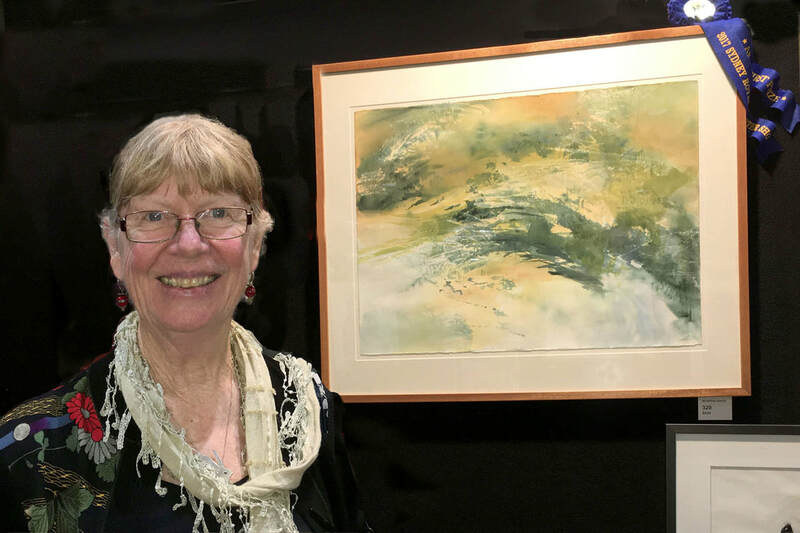 Marina has won many commendations and awards in art competitions, including from Lane Cove, Willoughby, Hunters Hill and Drummoyne; and she has been included in selective exhibitions at the Marianne Newman Gallery (Crows Nest), and Mosman, Hunters Hill and Willoughby Art Awards. 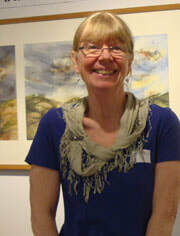 She has participated in several small-group exhibitions, at private Galleries, Regional Galleries, at four ArtSydney Fairs and with the Lane Cove and Peninsula Art Societies.